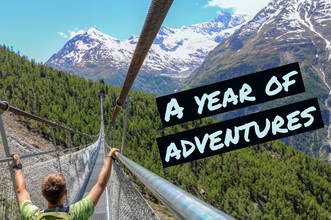 Many people would love to travel the world for a year, but very few are able to actually do it. Hayden Kast adventured the globe last year and put together this stunning aerial highlight reel for everyone to enjoy. Be it hyper-lapses of the clouds over the mountains, GoPro views from his bike tumbling through the forest, aerial shots of exotic islands and the changing seasons, and more it is an aerial reel to remember. Locations featured in this video include: Colorado, New Mexico, and Utah USA, Japan, Indonesia, South Korea, Thailand, Nepal, Greece, Italy, Iceland, and Switzerland.